Beth Anderson is a composer of new romantic music, text-sound works, and musical theater. Born in Kentucky, she studied primarily in California with John Cage, Terry Riley, Robert Ashley and Larry Austin at Mills College and U.C.Davis. She is a member of Broadcast Musicians Inc. (BMI) and is the current treasurer of New York Women Composers. She lives in Brooklyn and serves on the faculty of Greenwich House Music School. She has been commissioned by the Collegium Musicum Carinthia, Darren J. Campbell and Keith Borden, the Minnesota Sinfonia, the Staten Island Symphony, the Cabrillo Music Festival, the San Francisco Conservatory's New Music Ensemble, Andrew Bolotowsky, Marlow Fisher, the University of the Redlands' New Music Ensemble, Mimi Dye, the Montclair College Dance Festival, Daniel McCusker & Dancers, and the Soho Baroque Opera Company. Ms. Anderson's publishers are Antes/Bella Music and E.M.I/Joshua Corporation/Boston Music Co., distributor. The most complete catalog of her work is probably the New York Women Composers, Inc., catalog available on-line at http://metalab.unc.edu/nywc/. 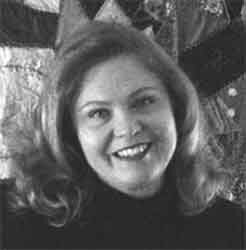 In 1999 her sextet, August Swale was performed at the National Museum of Women in the Arts in Washington D.C. on the annual International Association of Women in Music concert. Her recent concerts in New York were the premier of her choral work , Precious Memories, by The Accidentals produced by Eclectix! at Cami Hall and the premier of her Piano Concerto at Merkin Hall on the Interpretations series. Her orchestral compositions, Minnesota Swale and Revel are available from Opus One, Trio:dream in 'd'(for violin, cello and piano) and Net Work (for piano solo) were released on North/South Consonance, and "September Swale" (for mandolin and guitar) was released on Antes/Bella Musica in December 2000. The Collegium Musicum Carinthia will premiere Beth's new string orchestra piece in Antwerp, Belgium in October 2001.